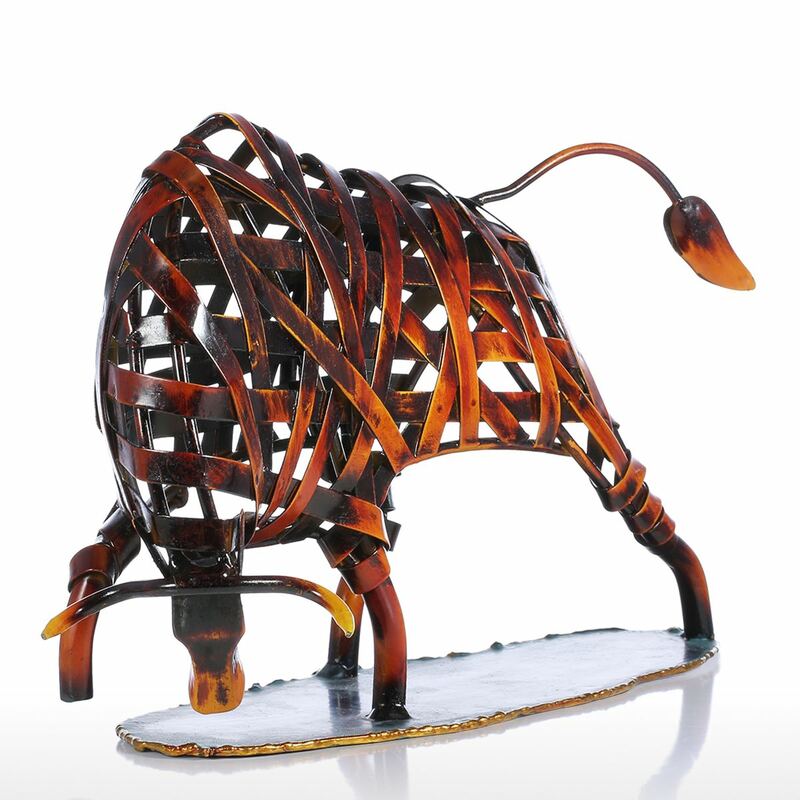 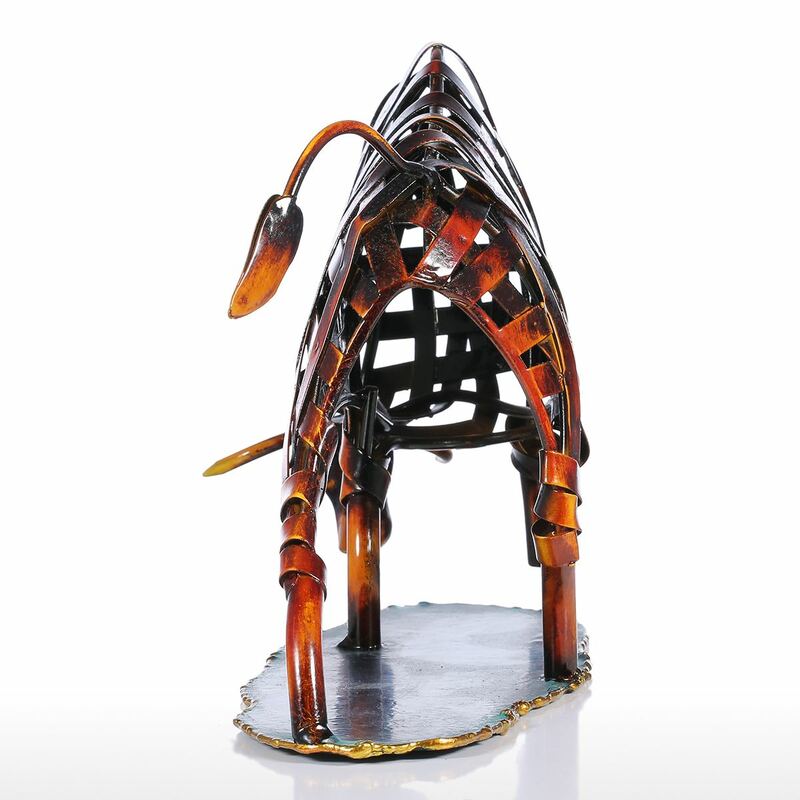 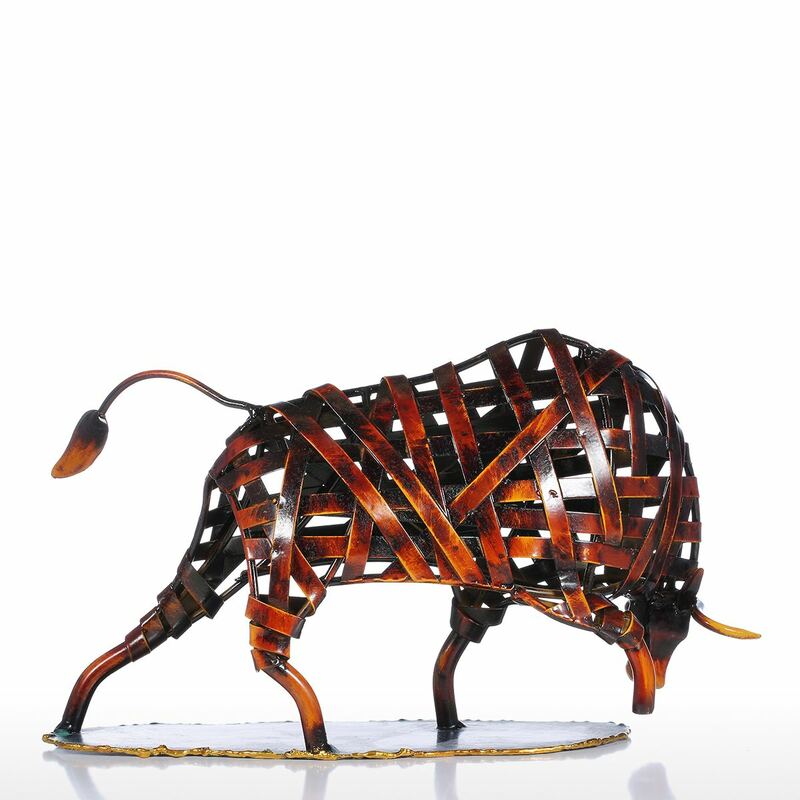 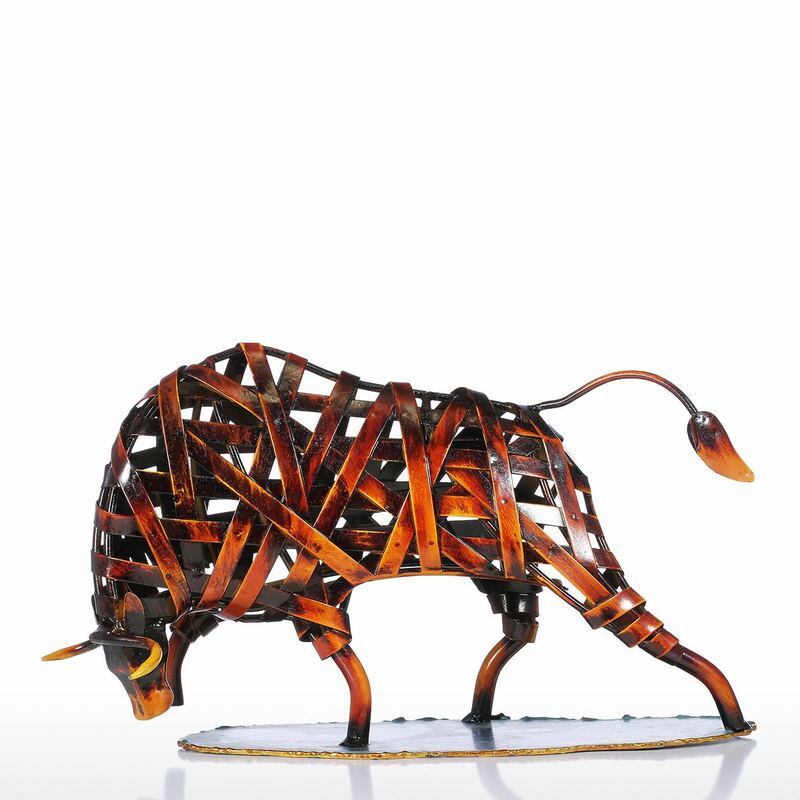 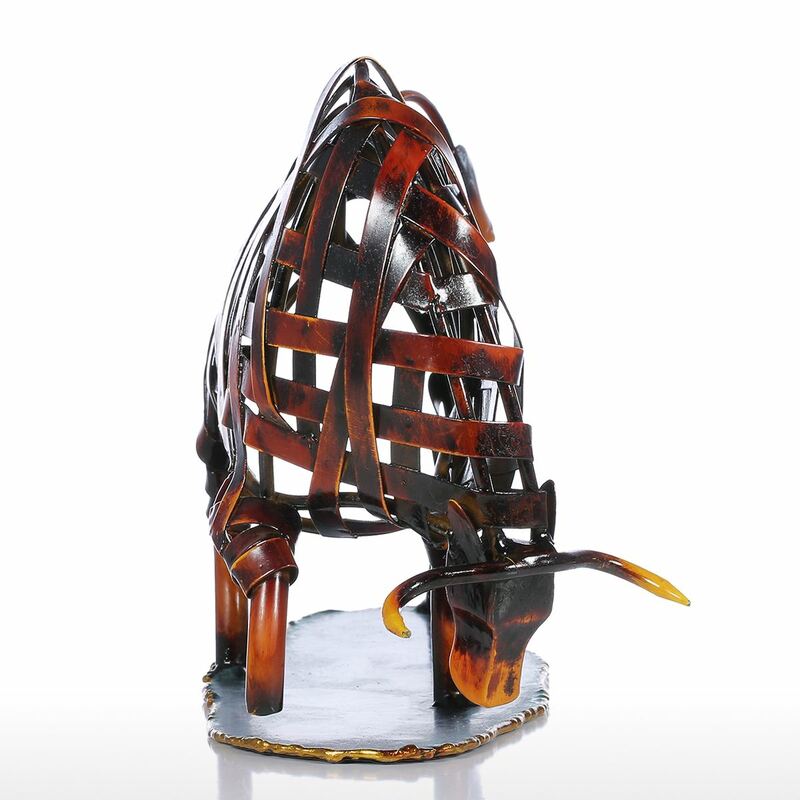 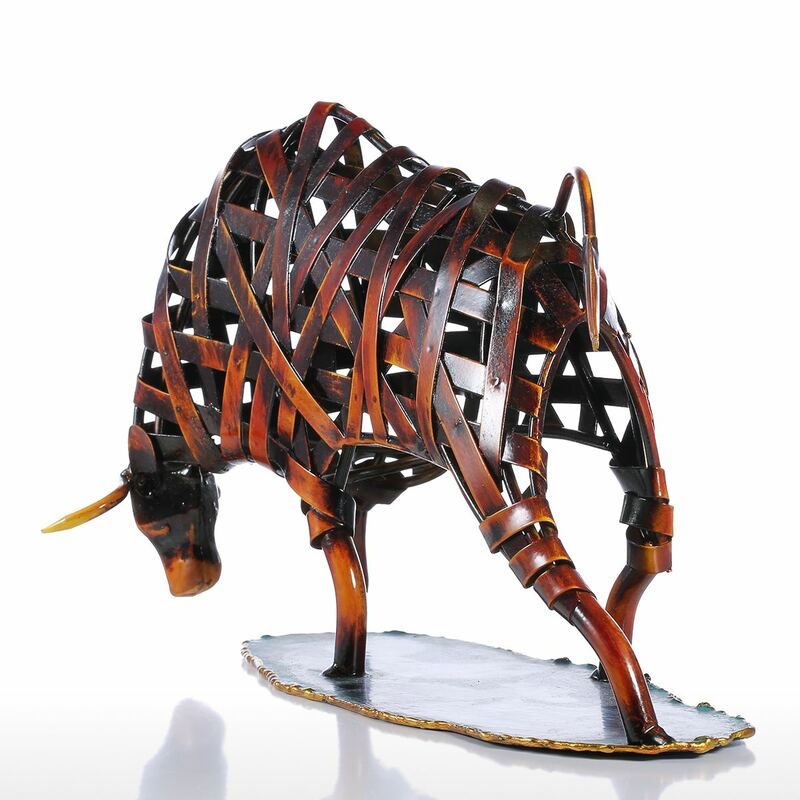 This iron-made cattle is an ornamental artwork crafted by a contemporary artist. 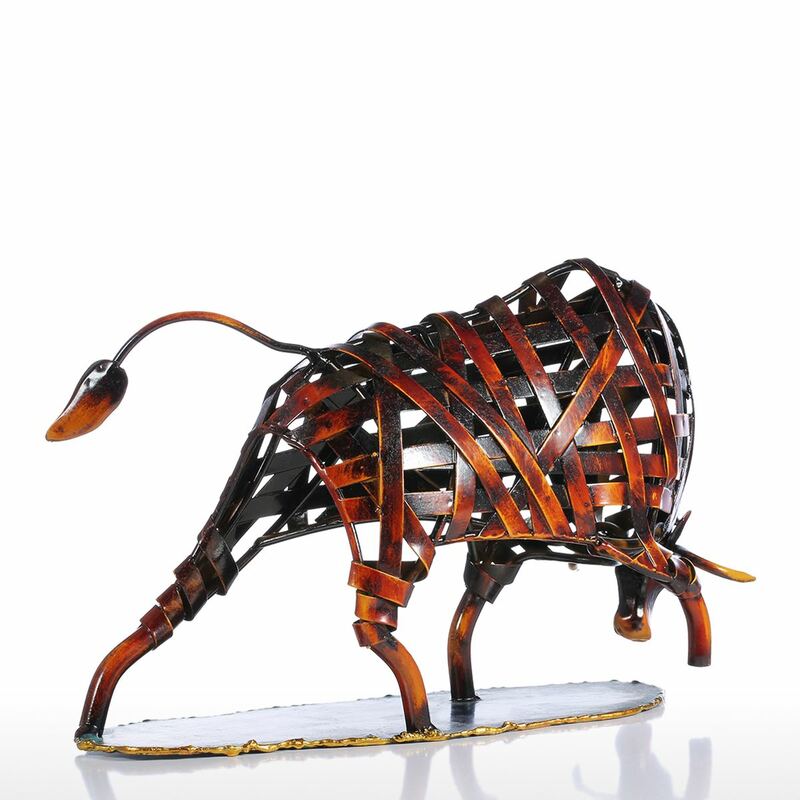 The cattle raise its right foreleg to step backward and its body leaning forward, which vividly and fully displays the cattle’s dauntless momentum. 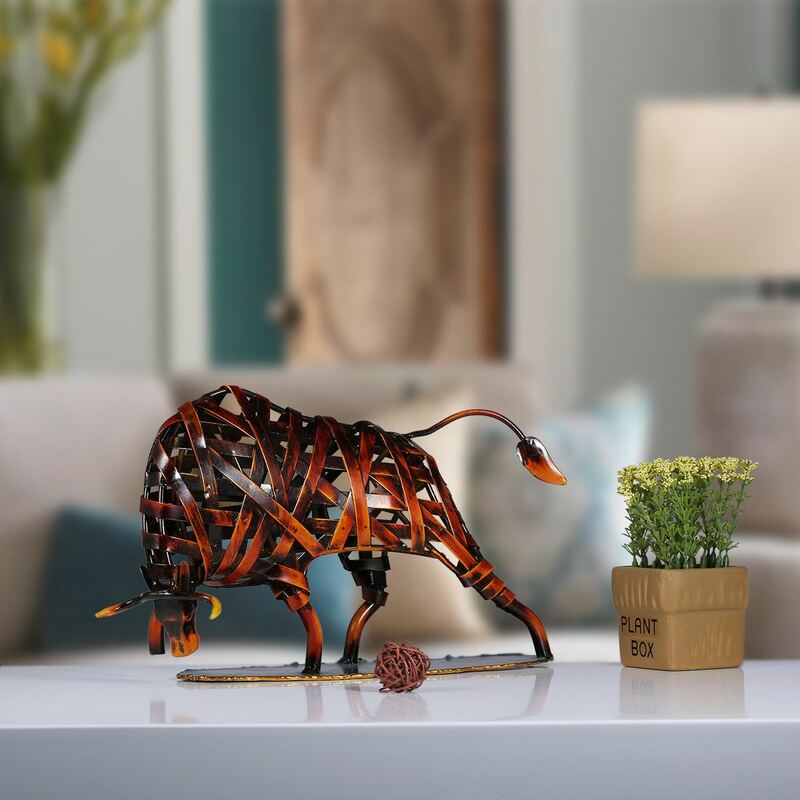 Exquisitely braided by iron bars, this cattle artwork conveys both the sense of steadiness and fashion. 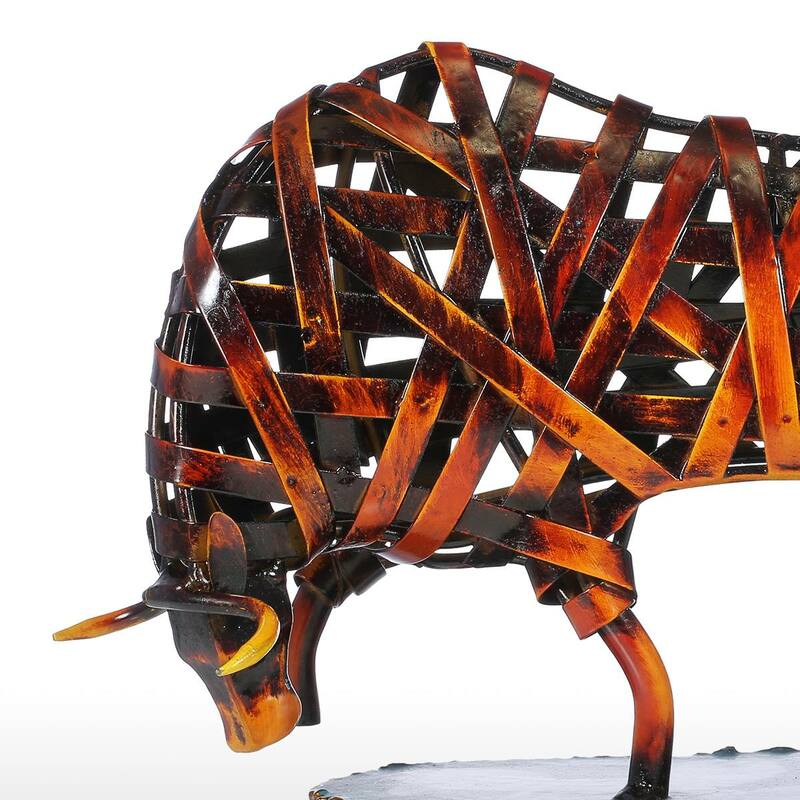 Brown paint on the metal surface can both prevent rust and display cattle’s calm personality. 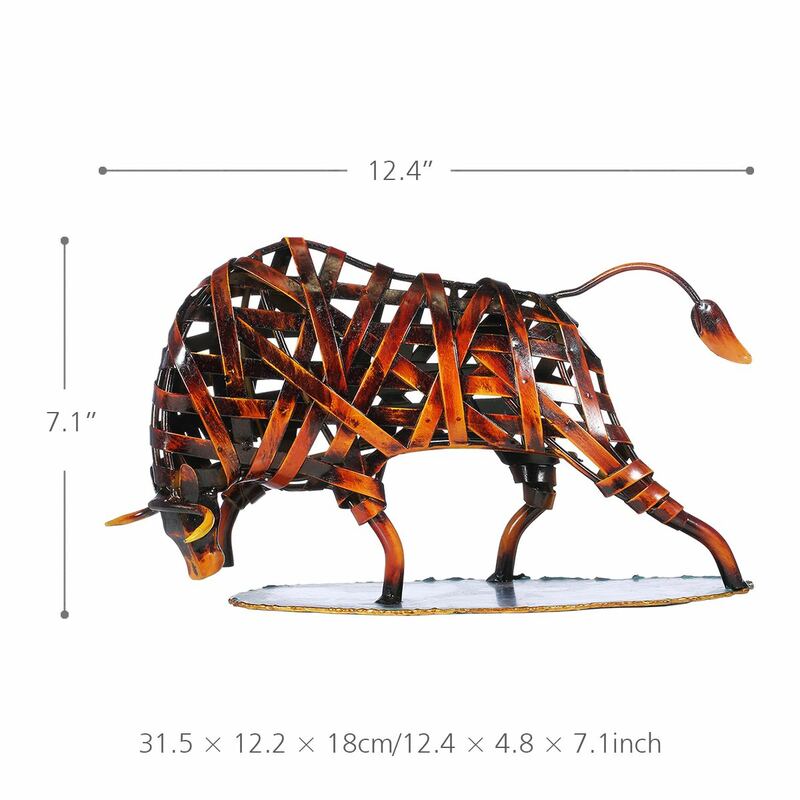 It is an artwork especially suitable for your indoor space like study, living room and so on, which can fully present your unique taste and make your life more beautiful. 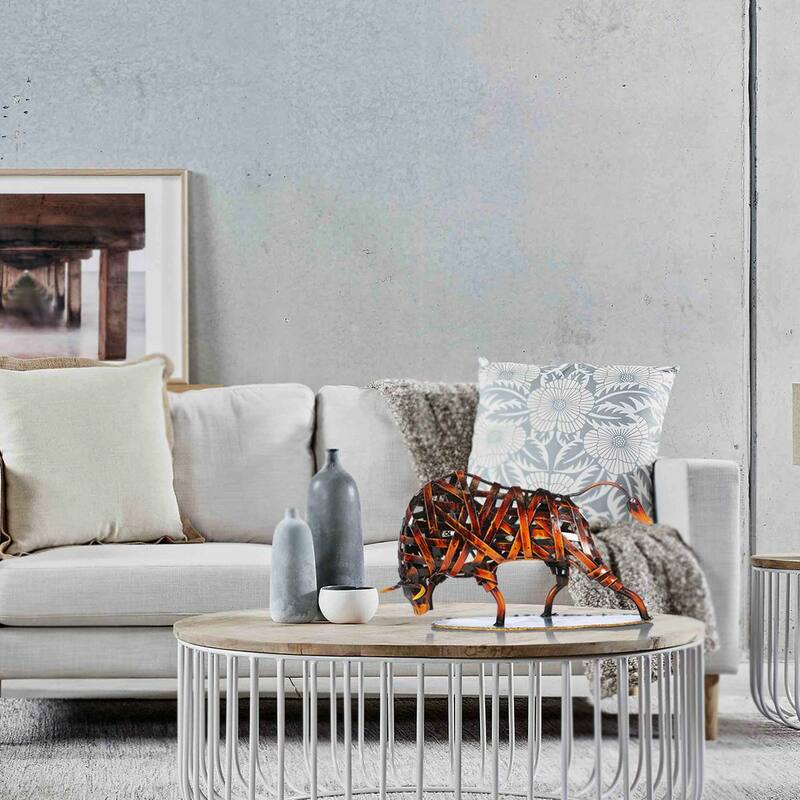 Environmental paint, the color matches the shape perfectly. 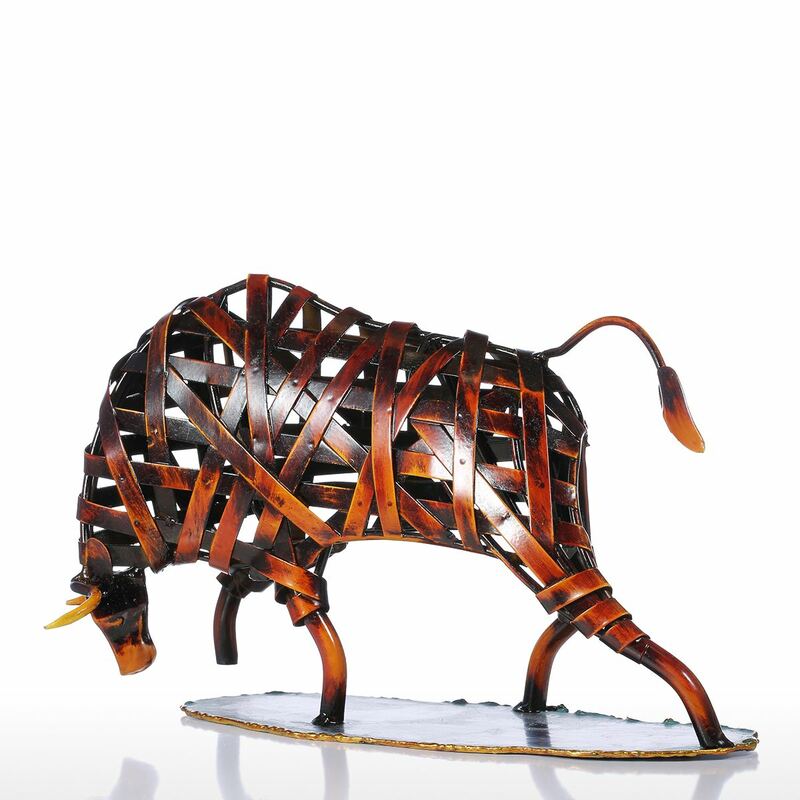 Its modeling is exaggerate and full of momentum, with solid and stable base. 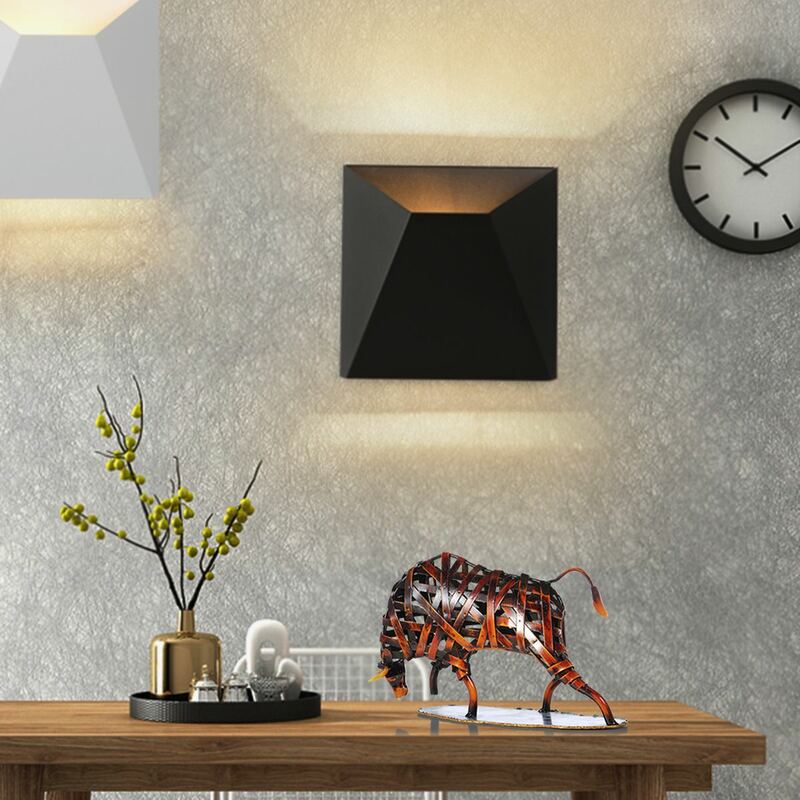 Suitable for various of indoor space decorations, such as study, living room and so on.